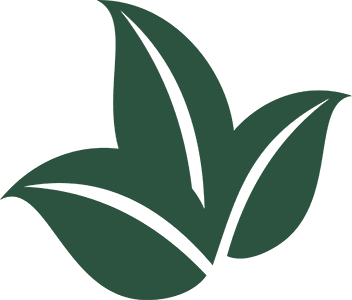 • FREE delivery valid for trees priced at $249.95 each or more. • FREE delivery (within $60 delivery zone). • All delivery and planting dates to be at the discretion of Platt Hill Nursery. Usually planted within 2 to 3 weeks of purchase. • Offer applies only to individual trees in stock, sorry special orders are not included. • The 2 year warranty will apply to trees planted by Platt Hill Nursery for a onetime credit of the purchase price of the tree. Does not include labor. • Warranty is for trees only. Regular labor & delivery fees apply for replacement trees. • Standard rates apply for removals and other special conditions. 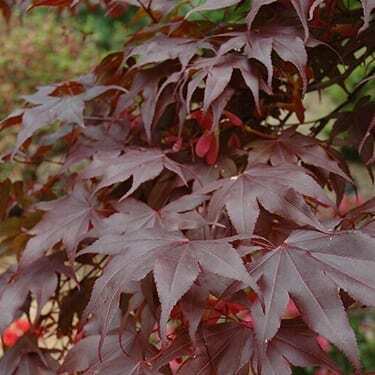 Attractive burgundy foliage which emerges deep purple in spring, then changing to scarlet red in the fall. Rough gray bark and red branches add an interesting dimension to the landscape. Relatively a low maintenance tree. 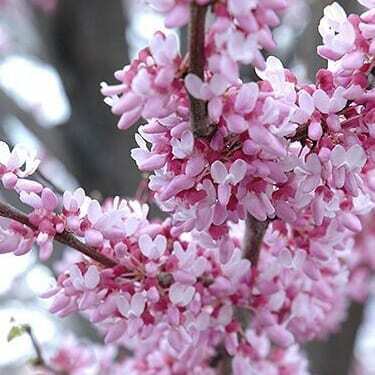 Spectacular spring bloomer, with very showy pink to purple flowers in early spring. Deer don’t particularly care for this tree. Relatively a low maintenance tree. 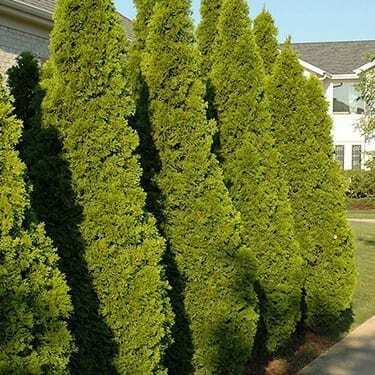 Tall, narrow, pyramidal hedge evergreen typically planted in rows for screening. Dense foliage held in vertical sprays remains bright green year round. Hardy and adaptable. 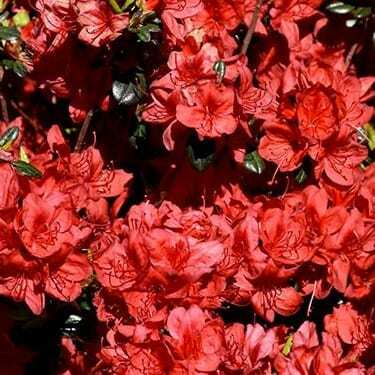 Dazzling smallish yet abundant hot red flowers in springLightly-scented tomato-orange trumpet-shaped flowersMust have well-drained, highly acidic and organic soil, use plenty of peat moss when planting.